Cr is a rather abundant element in nature, with two main chemical forms, i. e. Cr(III) and Cr(VI). Cr(III) is essential for mammals and included into the glucose, lipid and protein metabolism, in contrast to Cr(VI), which is known to be toxic to organisms. In natural surface waters, average Cr levels are around 1-2 |g/l. Scandinavian lake waters are characterized by rather low Cr levels, mainly < 1 |g/l. The risk level for biological effects in sensitive Swedish waters and for salmonids in Norwegian freshwaters was given to be 5 |g/l. Swedish and Norwegian low pH waters (pH<5.4) exhibit lower Cr concentrations (median value of 0.069 |g/l) than higher pH waters (with 0.076 and 0.087 |g/l at pH 5.4-6.0 and pH > 6.0, respectively). Also the observed high affinity of Cr to organic matter results in lower levels in Swedish and Norwegian low TOC (Total Organic Carbon) lakes (median Cr value of 0.054 |g/l at TOC < 5 mg/l) when compared to medium TOC (median Cr value of 0.14 |g/l, at TOC between 5 and 10 mg/l) and high TOC lakes (median value of 0.27 |g/l at TOC > 10 mg/l). It is supposed that soil-derived Cr is mainly transported as metal-humus complex to surface waters, one reason why humic surface waters generally show elevated Cr levels. In natural waters, Cr occurs mainly as trivalent (Cr3+) and hexavalent (Cr6+) chemical form. However in freshwaters, Cr6+ can only exist at low organic matter, Fe2+ and S2- contents due to its rapid reduction to Cr3+. In contrast, Cr6+ is the prevalent Cr form in seawater. In low organic waters, trivalent Cr occurs as the free metal ion (Cr3+) at pH < 5.5, as Cr(OH)2+ at pH < 6.5, or Cr(OH)2+ at pH > 4.5. Cr(III) hydroxides start to precipitate at pH = 5.5-6.0. Cr(III) forms stable complexes with both organic and inorganic ligands, why it is very unlikely that it may occur as uncomplexed free ion when anionic or particulate compounds are present (see Table 5.3 below). Clay particles, humus colloids and Fe and Mn oxyhydroxides all coprecipitate Cr into lake sediments. 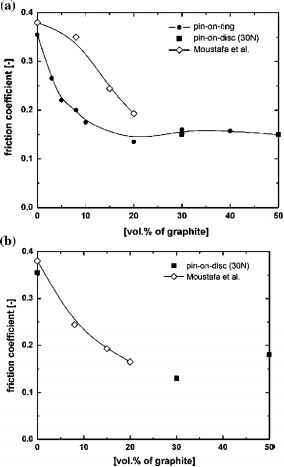 Cr(III) is supposed to be not mobile in sediments neither at oxic nor anoxic conditions, mostly due to the formation of stable inorganic and organic complexes. In soils, Cr levels remain in general below 100 mg/kg (dw). A recent investigation of 360 mor layer samples of Swedish forest soils (cited in Lydersen et al. 2002) showed concentrations between 0.7-22 mg/kg dry weight (dw). Like for other trace metals, soil Cr concentrations can increase in the vicinity of large point sources such as iron and steel mills. Also in soils, Cr forms stable organic complexes, which may move from the A soil horizon and precipitate/accumulate together with Fe and Al compounds in the upper part of the B horizon.